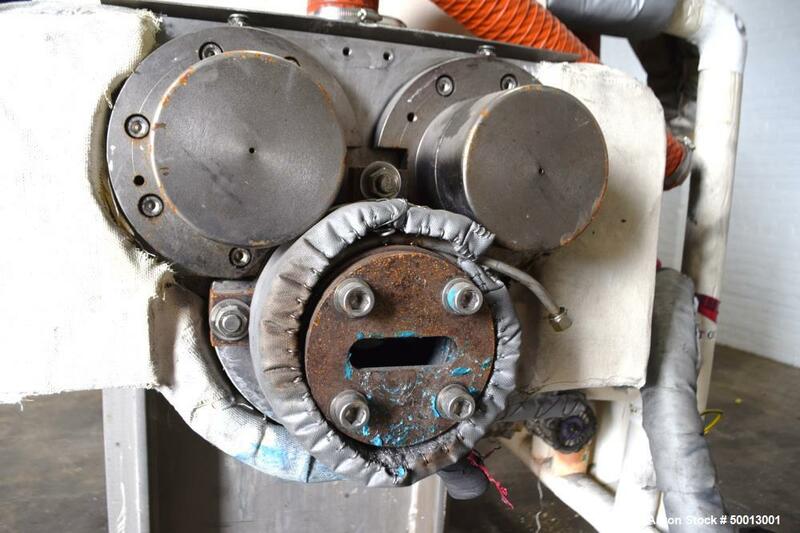 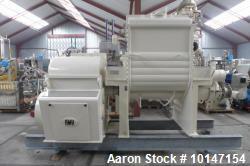 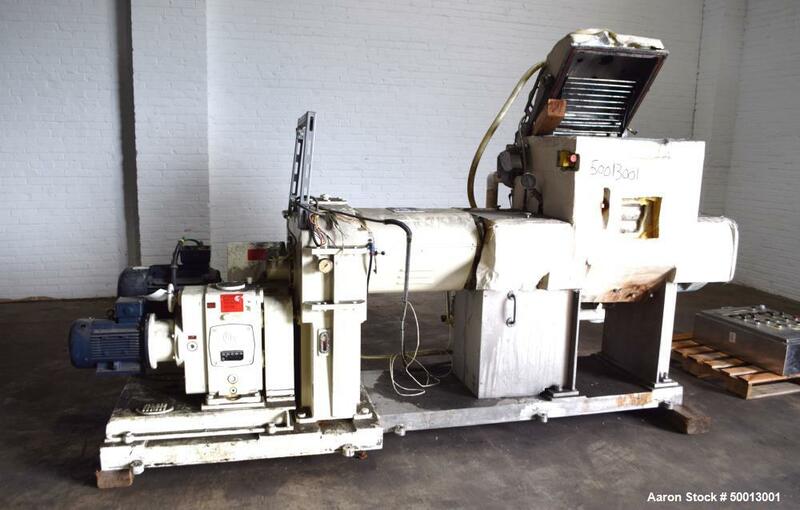 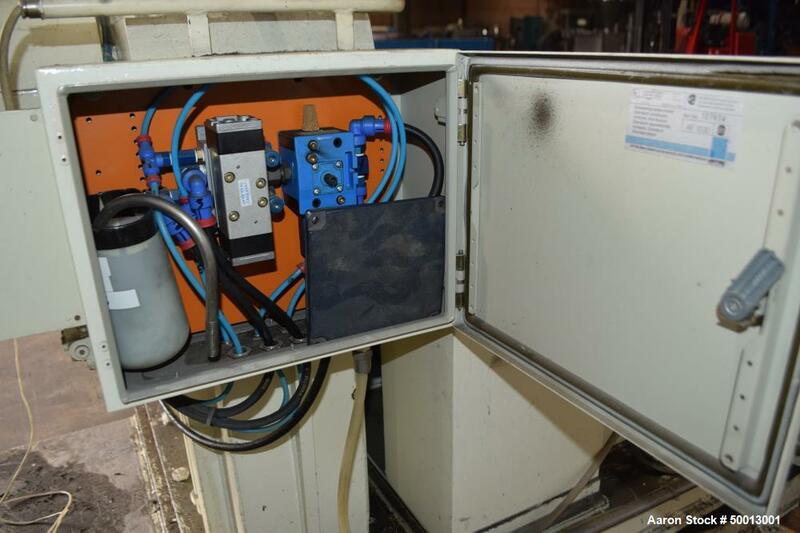 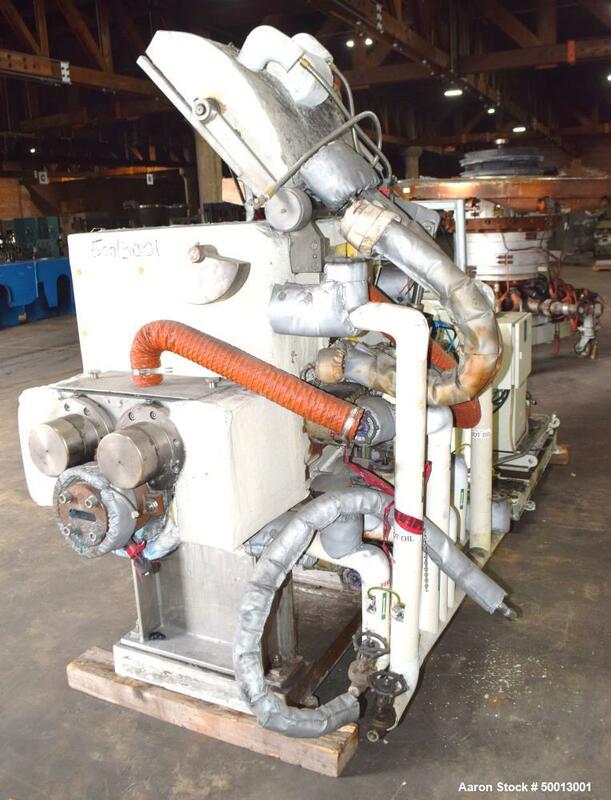 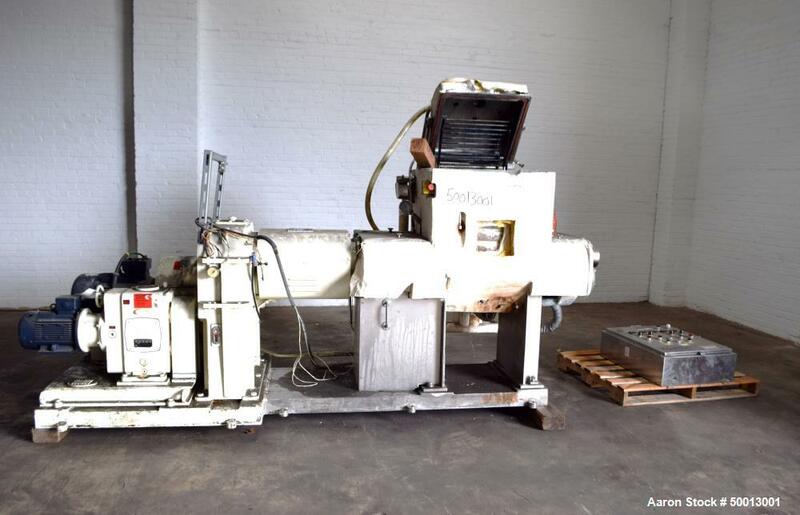 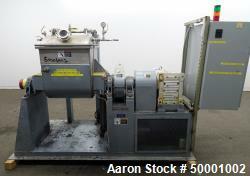 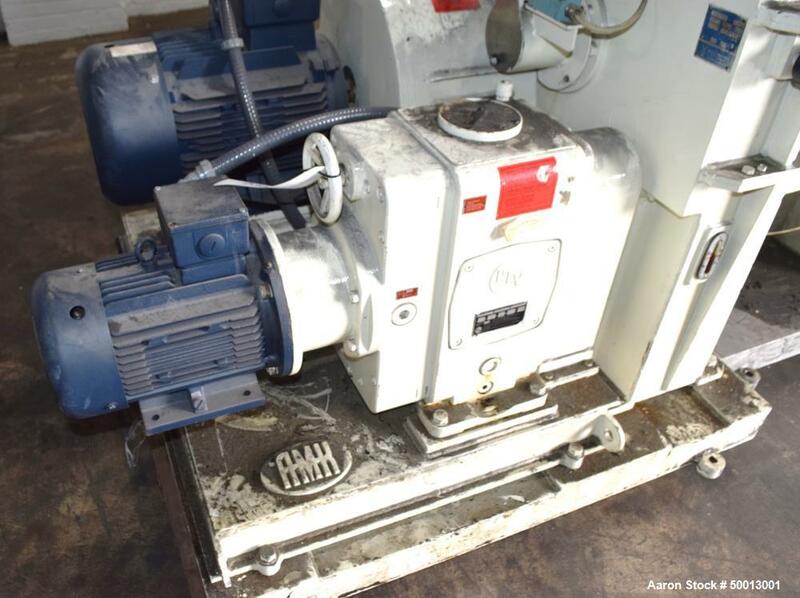 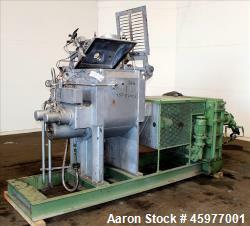 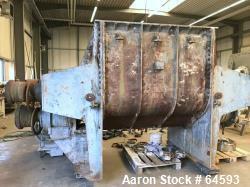 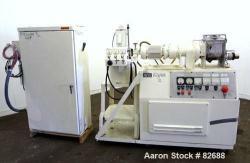 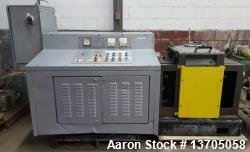 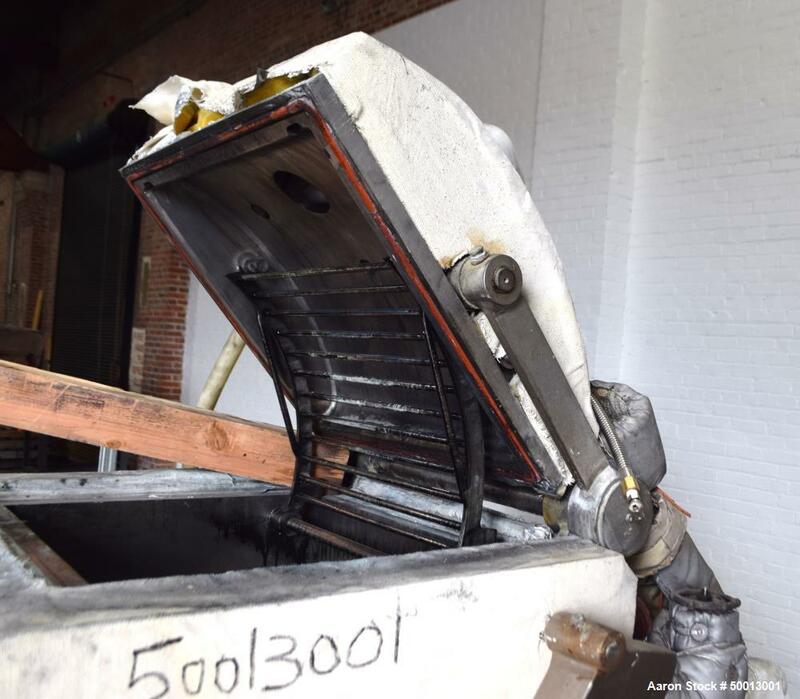 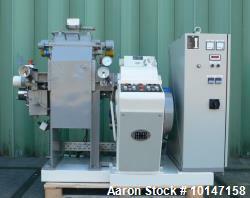 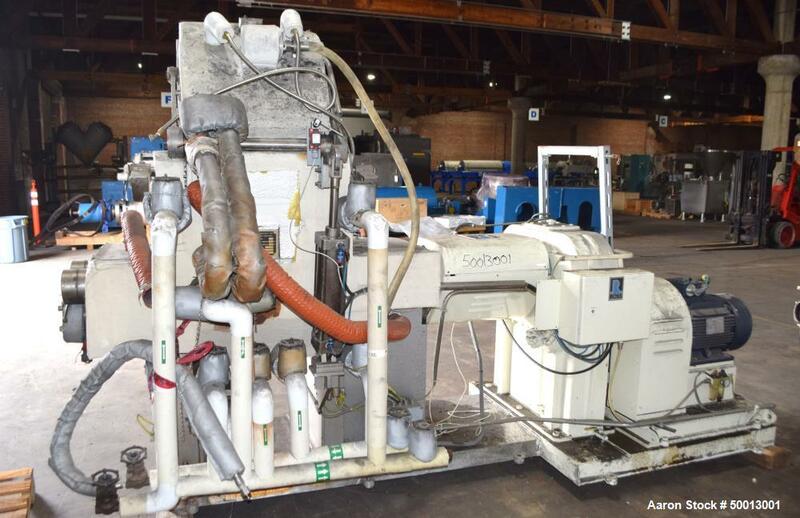 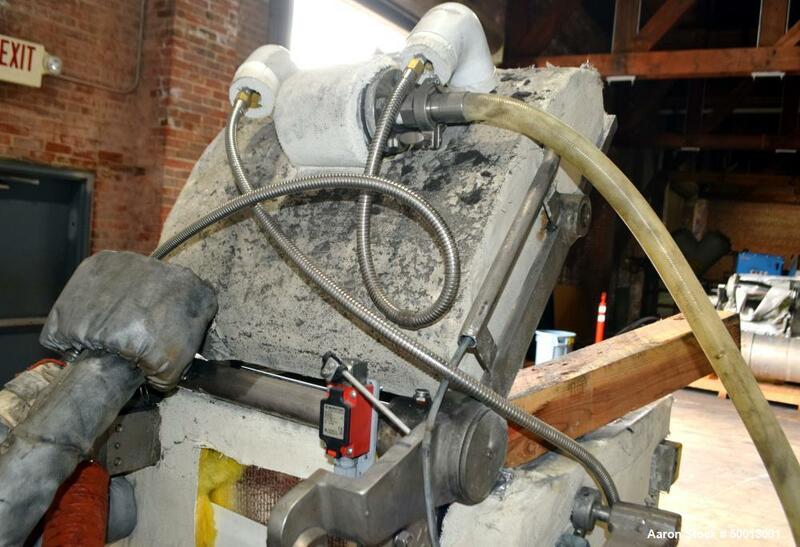 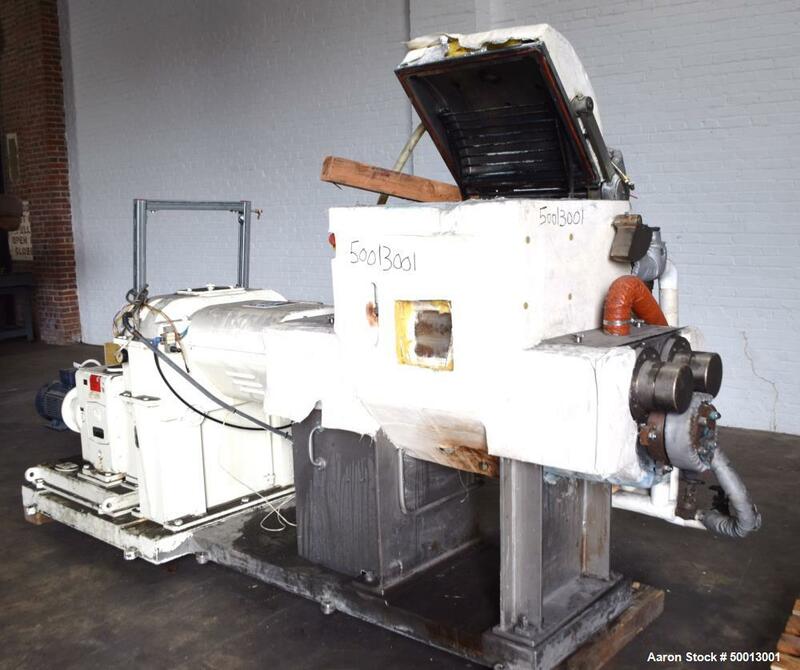 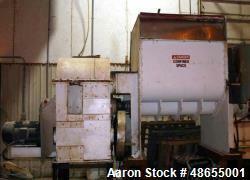 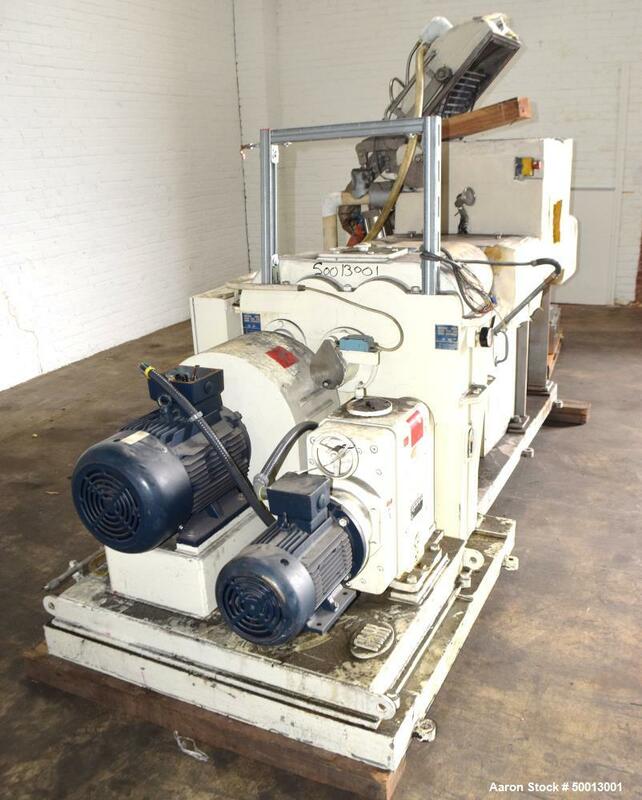 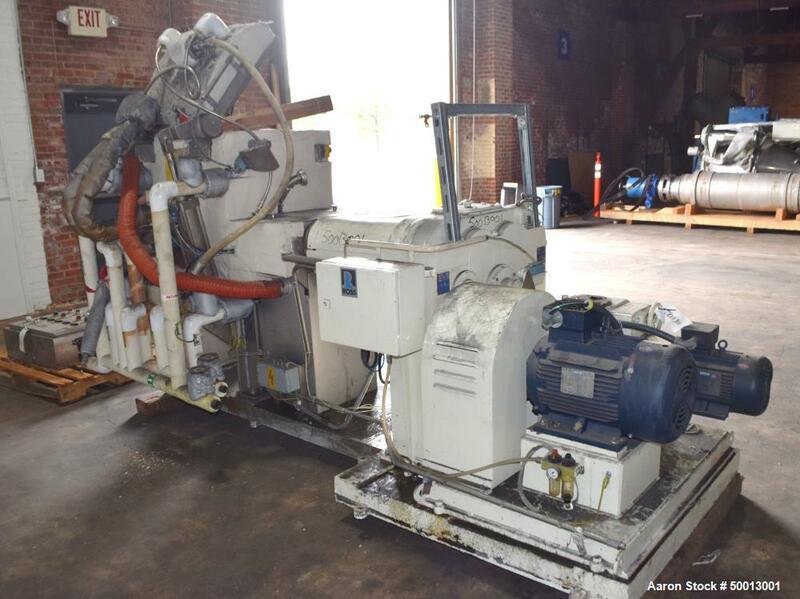 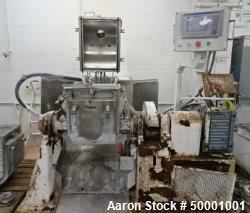 Used- Ross AMK Class V Double Arm Kneader Extruder, 15 Gallon (60 Liter) Working Capacity, Stainless Steel. 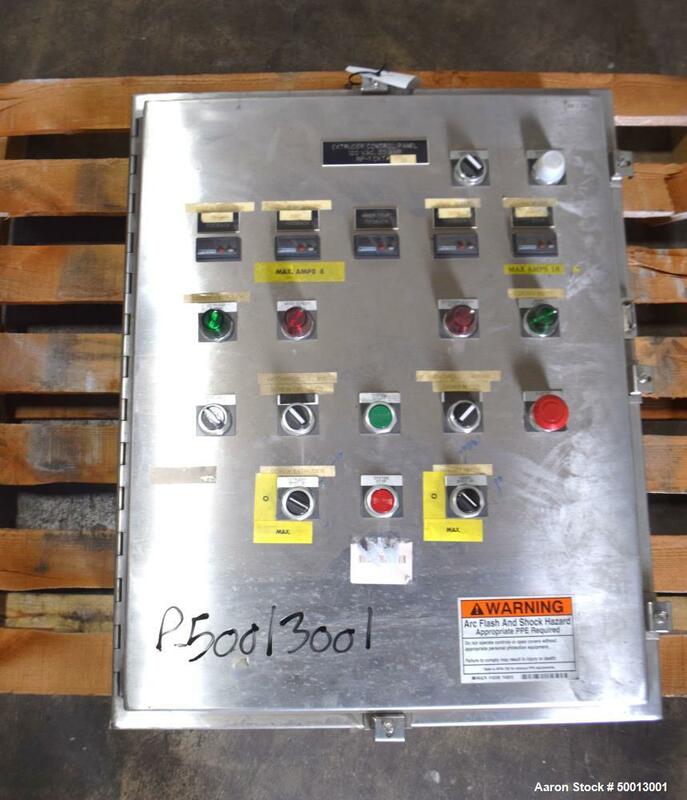 Jacketed bowl approximate 19-5/8" left to right x 19" front to back x approximately 20" deep, internal rated -1 bar at 200 degrees C., jacket rated 3 bar at 200 degrees C. Air operated domed top cover, suitable for vacuum, with sight glass and light, hinged safety grate. 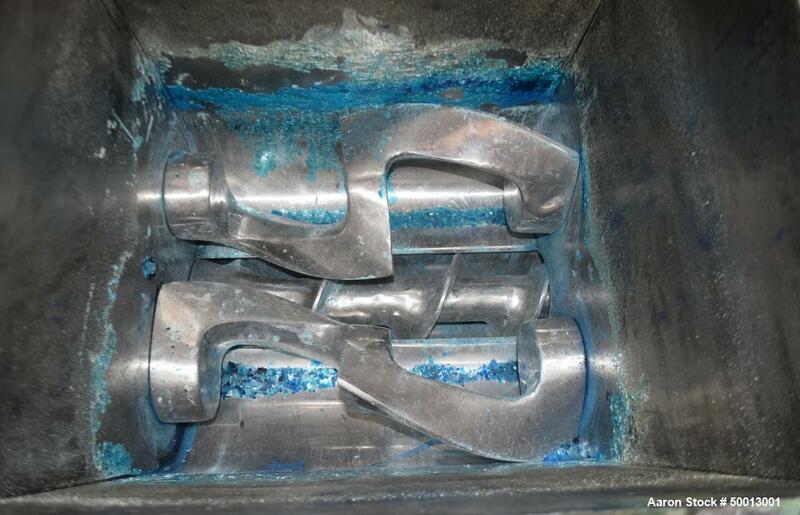 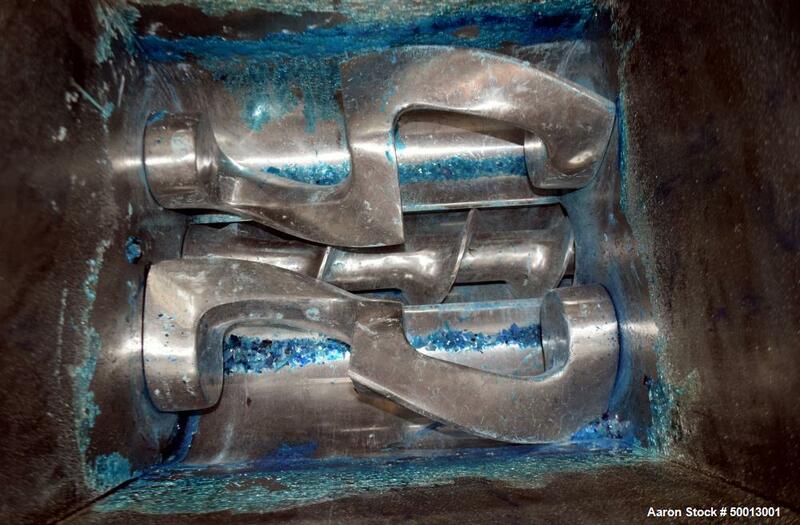 Tangential sigma style blades, geared one end. 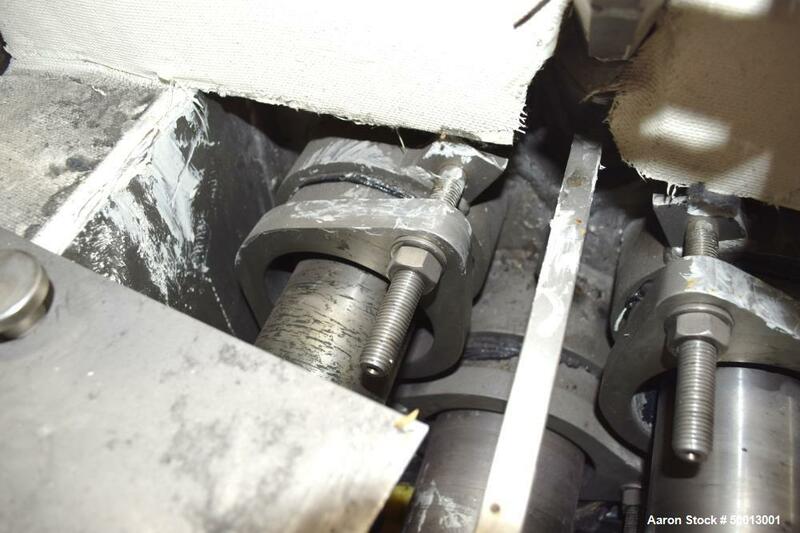 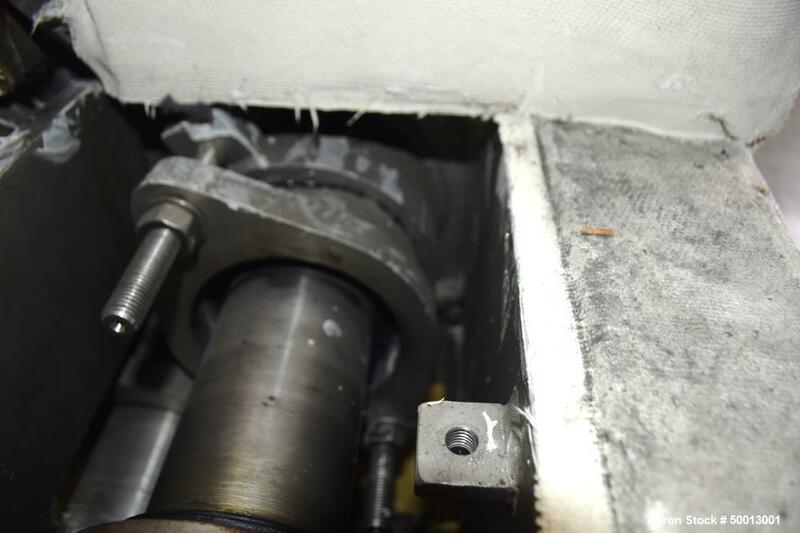 Approximate 5" diameter discharge screw with slotted die. 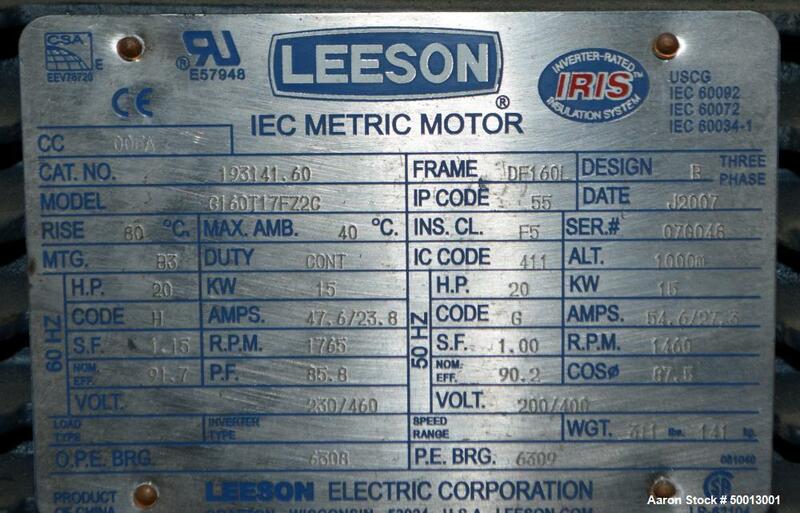 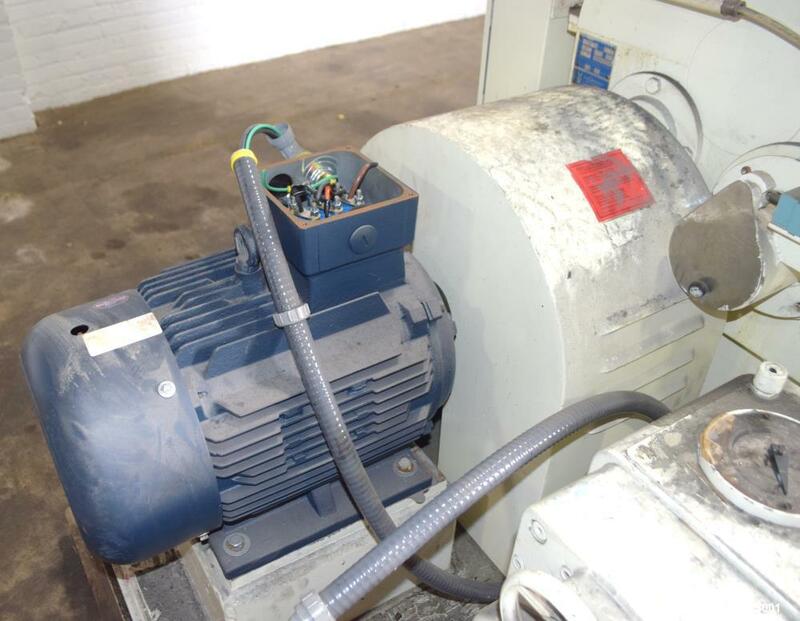 Mixer driven by a 20hp, 3/60/230/460 volt, 1765 rpm motor, screw driven by a 5.5hp, 3/60/230/460 volt, 1740 rpm variable speed motor thru a dual reducer. 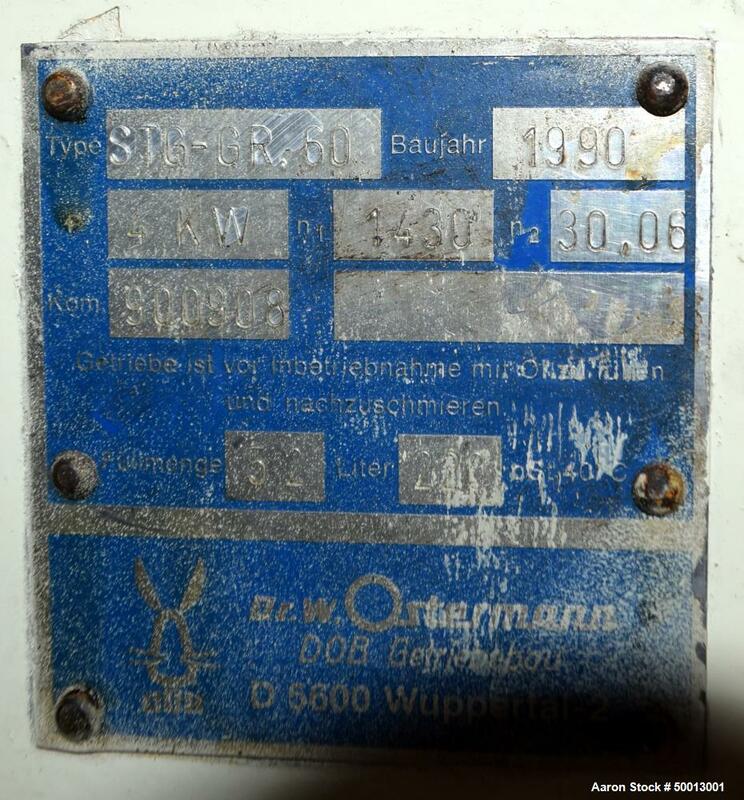 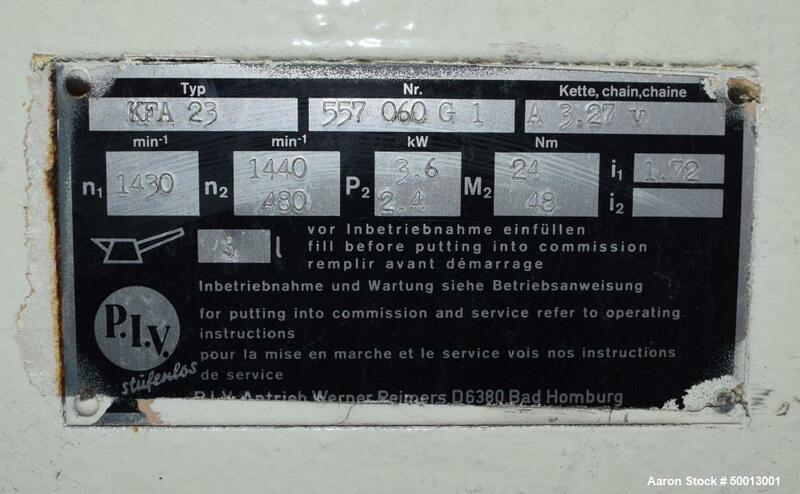 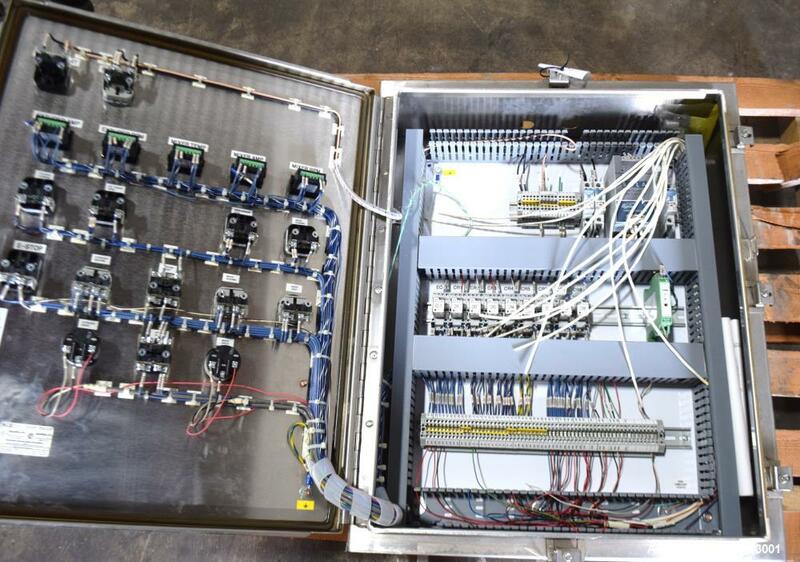 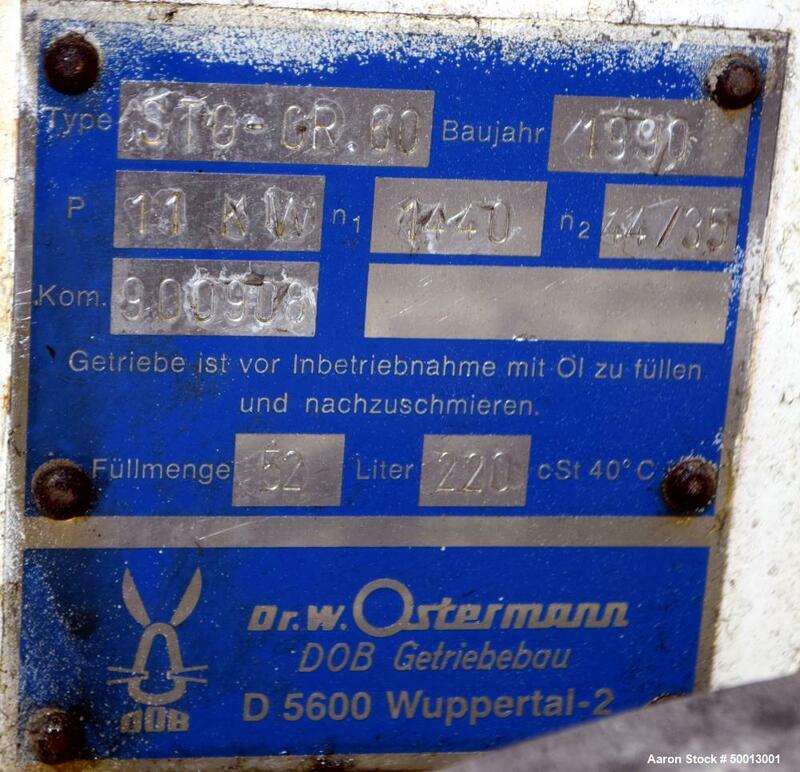 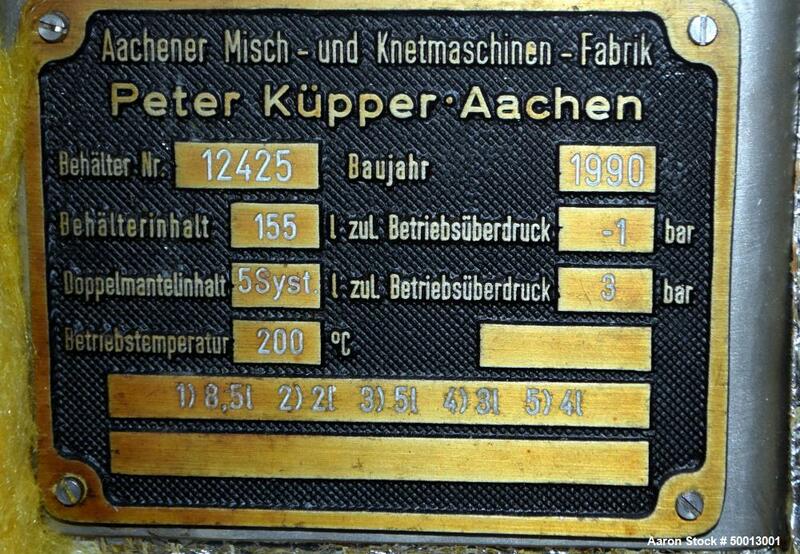 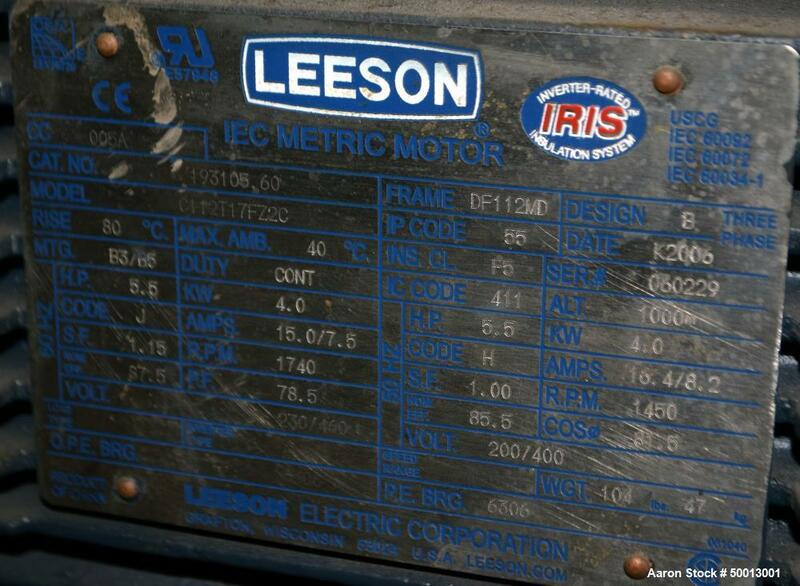 Includes a control panel. 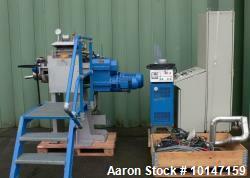 Mounted on a stainless steel & carbon steel base. 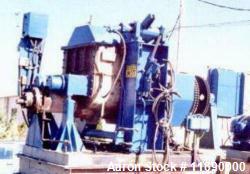 Serial# 12425, built 1990.